Cynthia Ebinger, professor of earth and environmental sciences at the University of Rochester. Cynthia Ebinger, professor of earth and environmental sciences, has been named a Fellow of the American Geophysical Union (AGU). The AGU is honoring Ebinger for her "fundamental work on the evolution of continental rifts toward seafloor spreading in East Africa and Afar." Ebinger will be one of 62 new fellows honored Wednesday (December 11) at the AGU's fall meeting in San Francisco. No more than one-tenth of 1 percent of the AGU's membership are elected fellows in any given year. "Cindy's research is widely recognized because it provides fundamental insights into the formation and evolution of continental rifts and the mechanisms that ultimately lead to the break-up of continents," said Carmala Garzione, chair of the Department of Earth and Environmental Sciences at the University of Rochester. Ebinger's interest in continental rifts (splitting of continental tectonic plates) and plate boundary deformation began when she was an undergraduate at Duke University. It was then that she took part in an NSF-sponsored research project in the East African rift where earthquake and volcanic activity continually reshape lake basins and surface topography. Later, as a graduate student at Woods Hole Oceanographic Institute-MIT, Ebinger studied oceanic rift zones where continental rupturing occurred millions of years before. "My early experiences at Duke and Woods Hole motivated me to search 'outside the box' to understand what's involved at the transition from oceanic to continental rifting," said Ebinger. "I chose to look at areas where the process is ongoing�like the southern Red Sea in the Afar depression of East Africa�rather than ancient or inaccessible episodes." Ebinger's background earned her a front row seat to a major geological event in 2005. After seismologist Atalay Ayele detected a series of earthquakes in the Afar region of northeastern Africa, he called on Ebinger for some help. Ebinger, armed with additional seismometers and model predictions of large-scale rifting events, went to the region to record the ongoing activity. Her work led to the conclusion that a 60 kilometer-long segment experienced a massive injection of molten rock that separated Africa and Arabia by about eight meters in a few days, and that the series of earthquakes and a volcanic eruption signaled the birth of what will one day become a new ocean. As a former president of the Tectonophysics Section of the AGU, Ebinger is aware that "many truly exceptional and deserving scientists have yet to receive this award. I feel very privileged and honored to have been both nominated and selected for this fellowship." 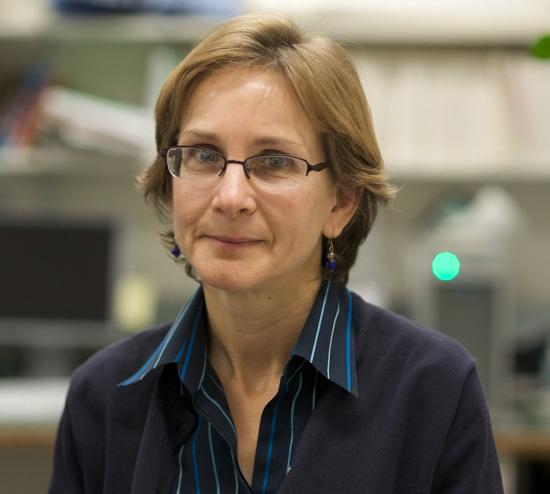 Ebinger earned her Ph.D. from Woods Hole Oceanographic Institution/MIT in 1988. She came to the University of Rochester as a full professor in 2006 after 15 years as a lecturer at the University of Leeds, and professor at Royal Holloway, University of London. The American Geophysical Union, with 62,000 members, is an international, non-profit association established in 1919 to promote discovery in earth and space science for the benefit of humanity.